We made this food-safe Bowlder from a fieldstone that we hand-gathered at the farm listed above. Artisans sawed and polished the rock with diamond tools in our Lowell, MA studio. Now you can use this artwork to serve fresh herbs, sauces & dips, fruit, nuts, and sweets. Or you can simply use this bucolic accent as a resting place for jewelry, keys, or other treasures. 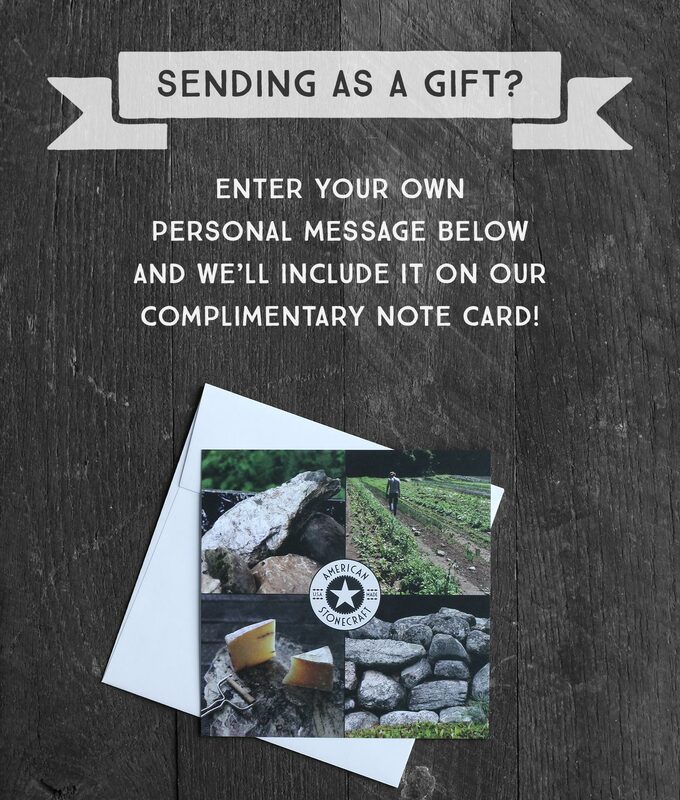 Each stone’s farm-provenance and artisan is permanently labeled on the underside. Visit our Farms page to discover your farm’s story and see photos from our visit. Bowlders begin as freshly “grown” fieldstones that American Stonecraft sustainably hand-harvests at working farms. Each rock is unique in shape and color, comprised of metamorphic granite. Artisans craft each Bowlder from scratch in our Massachusetts studio using custom tools. The stone is transformed from a dull rock into a piece of art with impossibly brilliant color. This color is not the result of an outside product or lacquer, but of skilled grinding and polishing, smoothing away all roughness up to a 10,000 grit. Our Bowlders also retain the natural “live” edge of the stone’s glacial tumbling. All Bowlders are protected with a permanent food-safe fluoride-based seal that penetrates any microscopic pores to prevent staining and allow for easy cleaning with soap and water. Farm-provenance and your artisan are permanently labeled on the underside of each Bowlder. Cork feet are included in the box and can be applied to the underside of your Bowlder to protect delicate surfaces. 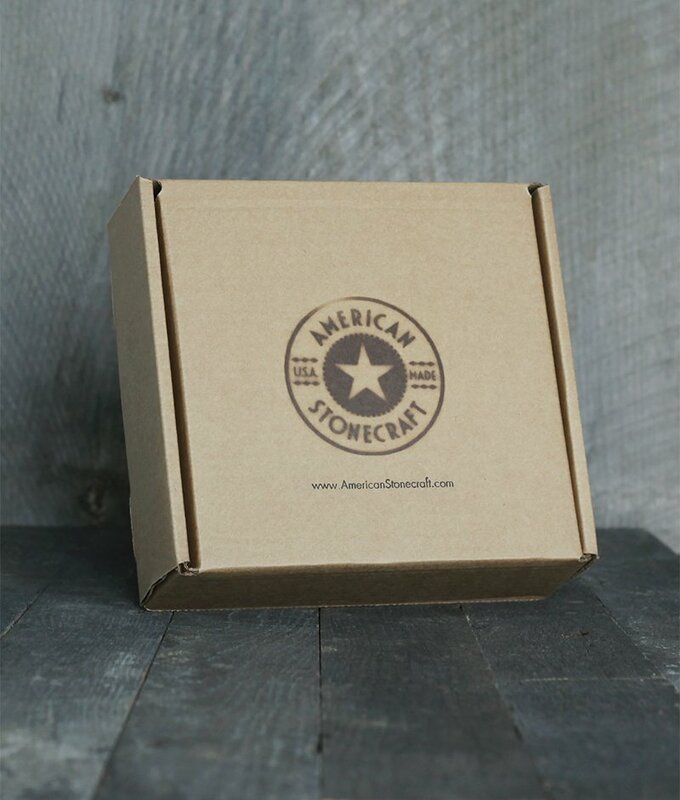 Each stone arrives packaged in an American Stonecraft gift box with your personalized gift note, if applicable. For scale, please consult the photos with the ruler shown next to the stone. This Bowlder is about 6.2 pounds in weight.